Santa Teresa, NM- In an undercover call placed on May 17, 2017 to Hill Top Women’s Reproductive Clinic in El Paso, TX the caller posing as a 15 year old minor inquires about obtaining an abortion without her parents involvement. Without hesitation the abortion facility worker refers the young girl to their “other clinic location in Santa Teresa.” Located according to Hill Top Women’s Reproductive Clinic’s website, “Only 11 minutes from Downtown El Paso.” It’s as if this is one of the main reasons the Santa Teresa abortion facility located a few miles across the border in New Mexico exists. An abortion appointment is secured for the following Saturday and all the minor is required to bring is $430.00 and her identification card. New Mexico has become the place where abortionist Franz Theard, who owns two abortion facilities, one in El Paso, TX and the other in Santa Teresa, NM is circumventing reasonable Texas laws that were enacted to protect minors from sexual abuse. At Hill Top Women’s Reproductive Clinic in Santa Teresa abortions are performed up to 10 weeks of pregnancy by administering RU486 to starve pre-born babies of the essential nutrient progesterone. These procedures are performed weekly on Tuesdays, Thursdays and Saturdays according to clinic staff. “Hill Top Women’s Reproductive Clinic is yet another example of abortion providers in New Mexico who ignore the best interests of minors who seek out an abortion. Minors are vulnerable and often the victims of sexual abuse, Franz Theard is enabling sexual predators when he purposefully takes advantage of New Mexico’s lack of common sense laws and circumvents the reasonable limitations of Texas,” said Tara Shaver, spokeswoman for Abortion Free New Mexico. On July, 11 2013, Julie Aragon, the New Mexico Health Facility Compliance Officer with the Clinical Laboratory Improvement Amendments (CLIA) program emailed Hill Top Women’s Reproductive Clinic in Santa Teresa because she noticed that their website stated that they offered lab services but the required CLIA certificate was not on file. Urine pregnancy tests and RH blood tests were being performed without required CLIA certification. An open urine pregnancy test cassette was on the break room counter next to a small refrigerator. Blood reagents were also found in the refrigerator. Failure to follow manufacturer’s instructions when checking Rh blood status in patients. Failure to perform quality control measures daily. Failure to maintain a log of patients tested onsite. Failure to maintain copies of training, highest level of education, or competency assessments for testing personnel. Failure to monitor refrigerator temperature where testing agents were kept. Failure to maintain documentation of the lot numbers and expiration dates of pregnancy tests and blood reagents. The CLIA program only ensures and monitors laboratory testing and has no jurisdiction over the surgical portion of abortion facilities. However, when a laboratory isn’t being run properly it begs the question, what other discrepancies the facility may have? Since this location was not properly CLIA certified, all testing was halted until the certification was obtained. In a 2015 a CLIA survey of Hill Top Women’s Reproductive Clinic in El Paso, Texas, documentation on AbortionDocs.org showed multiple violations including, a violation of the judicial bypass requirement for minors having an abortion as well as violating the requirement to verbally explain sonogram images to minors before they have an abortion. Other violations included disregarding the 2 hour waiting period, failure to provide patients with local hospital information and failure to ensure that their equipment was properly sterilized. Taking Life or Giving Life? Franz Theard does abortions on certain days of the week and then delivers babies at local Texas hospitals on other days. He seems to be caught in between two worlds, and tries to keep them separate. 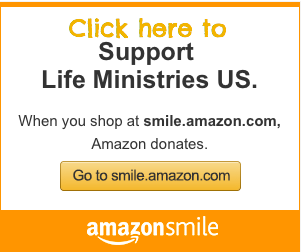 Abortion Free New Mexico found a website for Theard’s OB/GYN practice that does not mention abortion at all. There is also an unofficial Facebook page where women often check in for prenatal appointments and ultrasounds. 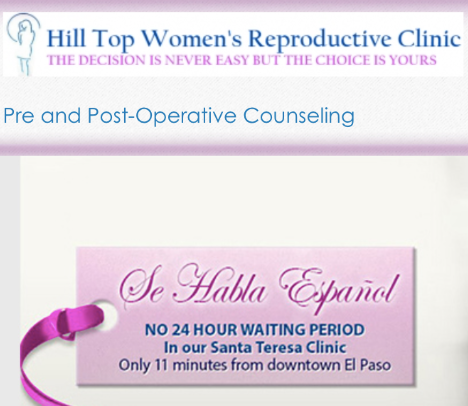 On the other hand Hilltop Women’s Reproductive Clinic’s website boasts abortion services with the ability to bypass the Texas 24 hour waiting period. “This report by Abortion Free New Mexico is only a glimpse inside of Franz Theard’s shoddy abortion operation that has creeped into New Mexico. 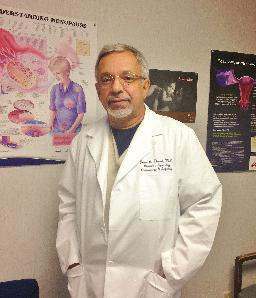 Abortionist Franz Theard has a sordid history of abortion violations and our latest undercover recording reveals that Theard’s El Paso clinic is instructing minors how to obtain abortions in New Mexico in violation of Texas law. Franz Theard is living a double life in his practice by working in Texas hospitals delivering babies while simultaneously killing babies in both Texas and New Mexico. Theard has betrayed true medicine and is currently capitalizing on New Mexico’s lack of the most basic laws regulating abortion,” stated Tara Shaver.